A browser based team building strategy set in our own ancient history, Empire: Revenant is a free to play title where players control a leader of their faction tasked with conquering their nearby rivals and bringing their lands into the folds of the Empire. In the game players build up their army, acquire equipment to make them stronger, and then battle through a challenging PVE campaign as well as completing other events. The core of Empire: Revenant is a team hero strategy in which players need to collect Heroes, equip them, level them up, and make them as powerful as possible to take on even greater events and game challenges. Each individual Hero added to a player's active group contributes to the groups BR Battle Rating, an indicator of how powerful a player and their armies are. 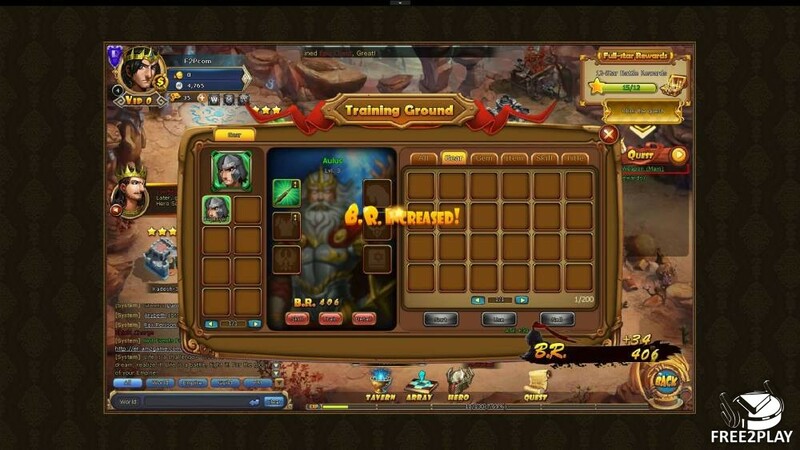 There are a wide variety of events that players will unlock access to as they level up. The main focus of combat isn't the actual battle itself, but the setup and preparation for it, building up a team, levelling Heroes and equipping to ensure they are all strong and fighting at their appropriate level. The actual combat is automated and run by the game, Heroes and their units will take it in turns to make normal or special skill attacks, often against whichever enemy is directly opposite them. A players army (what they head into battle with) is made up nine squares in a 3x3 pattern, players can place Heroes in these square, and so depending on where a Hero is place it will determine which enemy/enemy location they will attack. 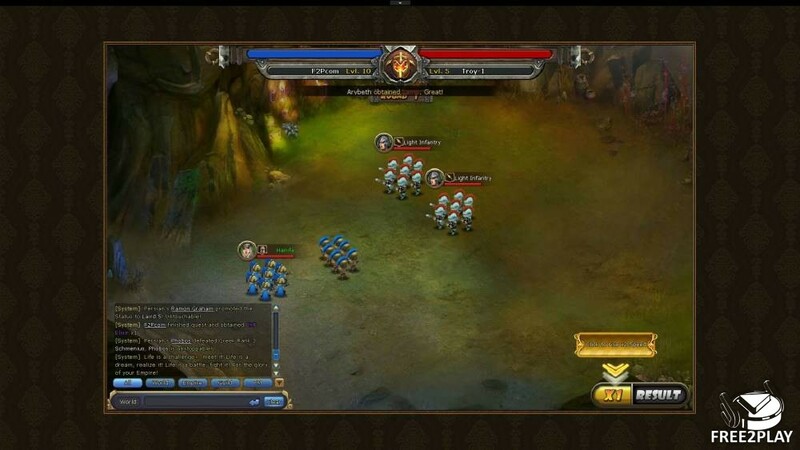 Furthermore, placing defensive characters on the front line with higher defensive stats ensures the protection of weaker allies on the backline; also many Heroes have special abilities that can attack multiple squares with a single special attack, such as attacking all enemies in a row, or a column. Keeping Heroes at their peak is very important to take on the most difficult challenges, whilst some Heroes recruited from the Tavern may have a higher quality (represented by their colour such as Purple or Gold) even lower quality Heroes (Green and Blue) can be upgraded and improved. Training will improve a Heroes' stats such as their defense, attack, health, etc., players can also improve their stats by equipping items into their 6 personal gear spaces, which in turn can also be upgraded and improved. These upgrades typically use silver, the games main currency, which is earned through completing various events, but some upgrades require special resources that can only be earned from specific events. Winning battles will grant you XP and rewards, how well a player does in a match increases the quality of their rewards, giving players a score out of three stars to show how well they performed. Other features in the game allow you to generally improve your army as a whole, such as the Institute allows players to spend Tactic Scrolls to unlock Tactics that give boosts and bonuses to the team. There are numerous key events unlocked when players reach certain level milestones, these events can be available all day or only at certain times to ensure the event itself has lots of participation from players and that they can all assemble. 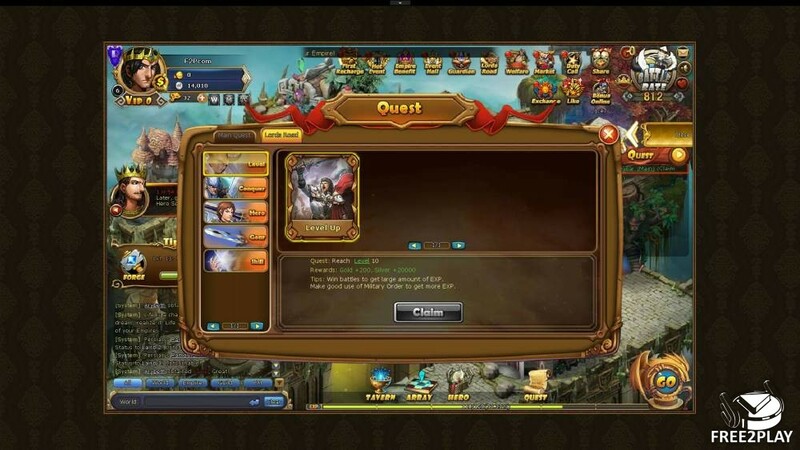 Many events revolve around PVE content such as fighting against different bosses, earning rewards for getting as far as possible, creating Guilds and having Guild events, or fighting other players' Array team in the games' Arena and trying to earn rank and climb the ladders. All events provide various rewards, including some unique resources. With all these resources, currency and more players can improve their Heroes and make them even more powerful.